Our very special ‘Rainbow Bridge’ memorial walk. 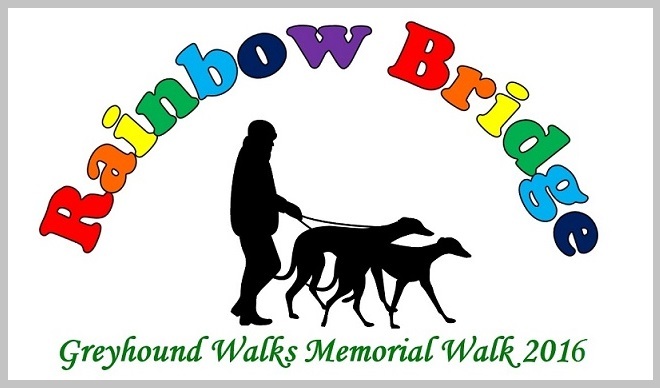 As many of you know, we have an annual 15 mile walk to honour all our hounds that are at Rainbow Bridge. We choose to walk from Notley Country Park (Braintree) as this is where our very first Greyhound Walk was held and we go along the very peaceful disused railway line, the Flitch Way. It’s a time to chat with friends, reflect on our memories and to remember the hounds we have loved. We appreciate not everyone can walk 15 miles so we have a little taxi service available, to pick up people/hounds and return them to their cars once they have walked as far as they choose.